Physical education trends have developed recently to incorporate a greater varieties of activities besides typical sports. 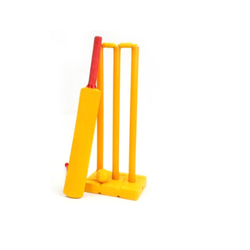 We are one of the leading organizations engaged in manufacturing and supplying Physical Education Equipments. 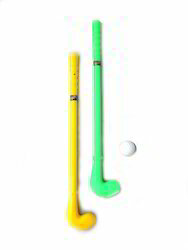 The range offered by us includes Marker Cone, Tenniquoit Ring, Foam Ball and Fleece Balls, to name a few. It assists in introducing students to activities like bowling, walking/hiking and other such that develop muscular strength and endurance, and provides many other physical benefits to kids.These equipment are known for their features like vibrant colors, lightweight and durability . We offer these products are in various attractive colors so as to ensure meet the variegated requirements of our esteemed customers. The products under this range are detailed below: We are dealing in the bulk quantity. Size 5 X 5 inches. 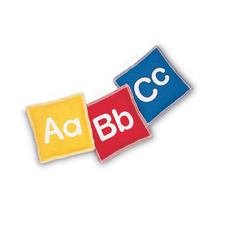 Package Set of 26 alphabet bean bags. Packaging Details: Sea worthy packaging (includes good quality corrugate box, bubble wrapping, pressure sensitive or nylon re-inforced tape). Can be customized as per client requirements. We are mainly seeking bulk inquiries from foreign countries. GSI Jigsaw Mats are reversible with two colors, easily stored and easy to lay with jigsaw interlocks. Application helps children in balancing with complete body movement. One set of handles is on the inside of the sack for little hands and the other is on the outside of the sack for bigger hands. It is best to play the following activities outside on the grass or on any cushioned or matted surface. Whether you’re playing a game or competing in a race, you’ll have fun and experience success—no matter what your size!. 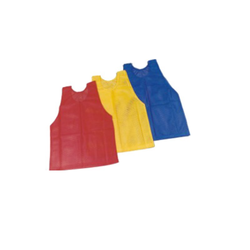 GSI manufactures training pinnies that are of moisture wicking material, comfort fit. Children wearing GSI tranining pinnies feels comfortable with it and easily pay without discomfort and hassles. The quality of the training pinnies are of superior quality, elasticated. Tangrams are fun for children of all ages. 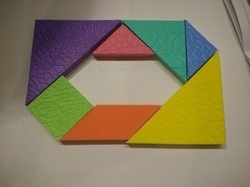 Complete the puzzle by moving and rotating the seven shapes. A fun way to work problem solving and visual-spatial skills. Students will love tossing around these sturdy, lightweight toss-and-learn Bean Bags. Perfect for small hands and easy identification, each bean bag is embroidered or printed with upper- and lower-case letters. Beanbags are a fun, active way to encourage young learners’ beginning reading skills, from alphabet identification to sound/symbol recognition. GSI ensures to develop it an easy way. 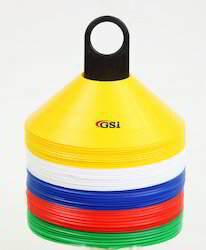 Unique Features - 1) Bright colors and design for easy visibility, 2) Educational and learning purpose, 3) Meet International Standards, 4) witches hat training cones If you wish to purchase sport goods stores in India, then GSI is the ideal sports brand to pick. Among sports for Kids and Teenagers, buy this Marker Cones for 1) multiple sports like Soccer, Cricket, Football, Basketball, Track and Field, Gym and fitness and 2) for other physical education and sports training purposes. Made of Low-density polyethylene (LDPE) thermoplastic polymer, this Marker Cones is the best Indoor/Outdoor sport. As part of this order, you will receive 10 cones, and the weight of all components combined is approx 600 grams. Adopt a healthy lifestyle and buy GSI's Marker Cones - awesome in quality, best in price. 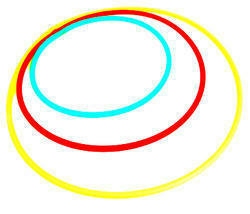 Juggling Rings are prop used by Jugglers. It helps in coordination and brain exercise. 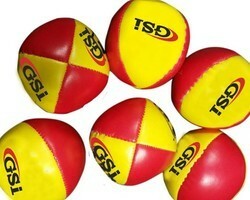 GSI manufacturers all the juggling related products. 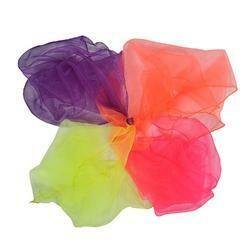 Fleece balls are considered to be best for kids to make them learn colors. GSI ensure that these fleece balls made for children should have features that makes it lightweight and attractive. Usage/Application Strong construction, attractive look and durability. If you are locating Outdoor sports online, then GSI is the leading sports brand to choose. Among sports for Kids Teenagers and Adults, buy this Hula Hoop Stand for 1) multiple sports like Soccer, Cricket, Football, Basketball, Track and Field, Gym and fitness and 2) for other physical education and sports training purposes. Made of Polypropylene (PP) thermoplastic polymer, this Hula Hoop Stand is the best Indoor/Outdoor sport. As part of this order, you will receive 1 stand, and Colour will be Yellow. Adopt a healthy lifestyle and buy GSI's Hula Hoop Stand. We are an eminent name, which is engaged in delivering Gymnastic Club. The offered range is available in different customized specifications and forms as per the assorted demands of clients. Along with this, the offered range is tested on different parameters to maintain its authenticity throughout the designing process. Our personnel ensure to design this range in tandem with the highest benchmarks of quality norms. Our firm is an eminent name, which is engaged in offer Gymnastic Club. The offered range is available in different customized specifications such as shapes, patterns and grades to comprehend and meet the diverse requirements of esteemed clients. In addition to this, the offered range is inspected on different characteristics to maintain its authenticity throughout the designing process. 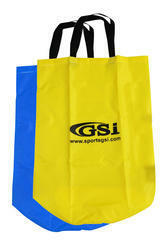 If you are searching for best sport goods online, then GSI is the ideal sports brand to buy. 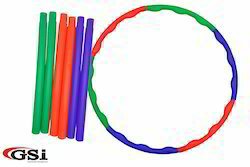 Among sports for Teenagers and Adults, buy this Collapsible Hula Hoop for 1) Waist trimming in gym as part of Aerobics, 2) for Dance and other fun activities 3) for recreation and physical education purposes, and 4) for Sports training. Made of Plastic, this Collapsible Hula Hoop is the best Indoor/Outdoor sport. As part of this order, you will receive 6 plastic rods, and the weight of all components combined is 145 grams. Colours will be Orange, Green, Blue. Adopt a healthy lifestyle and buy GSI's Collapsible Hula Hoop. Football, also known as soccer, is one of the world’s most popular games. The sport involves two teams of eleven players each trying to score a point by netting the ball. GSI Galaxy football boasting excellent rebound and bounce. 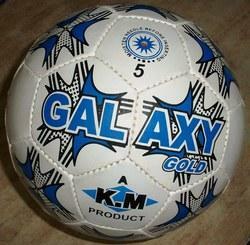 Functions and UsabilityThe GSI Galaxy Football is a 32 panel construction that gives the ball a perfect round shape. This hand-stitched football is highly durable owing to its abrasion resistant nature. The ball is stitched using heavy gauge thread thereby reducing the seam-stress of the ball. The ball makes use of an air lock valve for excellent air retention. 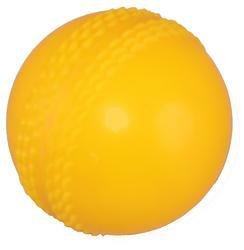 In order to append and respond to the diverse requirements, we are able to offer Juggling Ball. The offered range is made utilizing high grade raw material and innovative technology in adherence with the international quality norms and standards. In addition to this, the offered range is tested on different parameters to maintain its authenticity throughout the designing process. 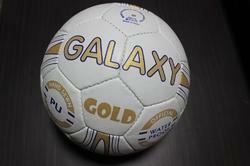 GSI manufactures premium PVC balls that are of supreme quality with and stitched. 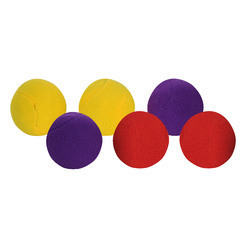 Purpose of thjuggling balls are brain exercise that further helps in problem solving skills and coordination. These brightly coloured scarves are just the thing for entertaining children. All sorts of games can be played using them and they are perfect for teaching children to juggle. Juggling and other activities develop hand-eye co-ordination and concentration in children.All in all, good wholesome fun!If you are finding sport goods brands industry online, then GSI is the foremost sports brand to select. Among sports for Kids Teenagers and Adults, buy this Juggling Scarves for 1) great fun with friends as a Juggling activity, 2) during magic shows, 3) for rhythic gymnastic activities. Made of 100% Nylon Fabric, this Juggling Scarves is the best Indoor/Outdoor sport. Colours will be Bright and assorted (Blue, Yellow, Red, Green, pink, orange). Adopt a healthy lifestyle and buy GSI's Juggling Scarves - Eco-friendly, Non-toxic, AZO free and Lightweight. Set Contains 9 inches and 1 mtr long satin ribbon. 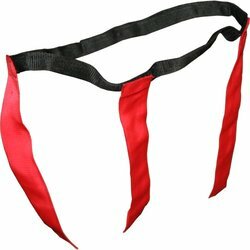 GSI ensure that its Jump Bands have loops at each end to wear around the ankles and the "pole holders" by which you can jump up, down, in and out to increase the jumping challenge to players! This product of GSI develops coordination, rhythm, teamwork and good social skills. Bands sold in pairs in assorted colors. 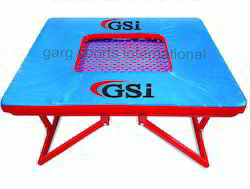 GSI Trampoline consist of a piece of taut, strong fabric stretched over a steel frame using many coiled springs. People bounce on trampolines for recreational and competitive purposes. GSI ensure hazardous welding completely eliminated. GSI soft vinyl Cricket balls are specialized for indoor playing. They are light weight and available with assorted colors. Material Soft and Hollow PVC. Bag comes in a bag. Set One single bat, Stumps, base, and one ball. We have attained wide recognizance in exporting and supplying best quality Plastic TT Pedals. Our offered pedals have found their exceptional use in the schools for their smooth finishing and sturdy construction. Theses pedals are procured from well-known vendors who manufacture them by utilizing high-quality plastics and new-age manufacturing processes. Furthermore, these are supplied to customers in tamper-proof packaging at nominal price tags. Bat is ideal for use indoors or outdoors. Children enjoy playing table tennis indoor and outdoor with this colorful TT bat and foam ball. We are majorly looking for bulk inquiries from foreign countries. 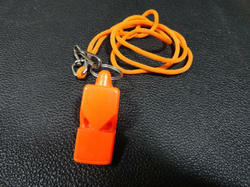 We are an eminent name, which is engaged in offering a superior range of Sports Whistles. The offered range is available in different customized specifications and forms as per the diverse requirements of clients. Along with this, the offered range is tested on different characteristics to maintain is authenticity throughout the designing process. This range is designed in compliance with the international quality norms and standards. 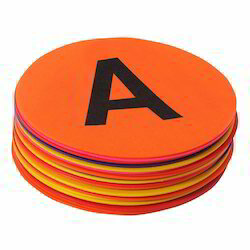 Poly-vinyl spot markers are ideal as bases, stepping stones, markers, targets, boundaries and more. Children will have fun while developing and refining their gross motor skills. An easy way to denote exercise stations. Tag Belt has coloured tags (ribbons) attached to it. It is made of Nylon and touch closures. The belt is placed around the waist with the tags positioned on either side of the hips. Quick & easy to take on and off, even for the youngest of players. In order to make a 'tackle' a defender must pull off one of the tags from the ball carriers belt and shout 'tag'. 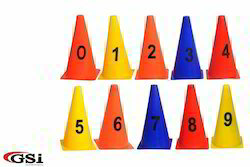 Light weight saucer marker cone are ideal for for games activities and area for marking. GSI, manufacture these sucer marker cone in attractive colors such that they are easily distinguished and demarcates easily. We are a reckoned name, which is engaged in offering Single Joint Hula Hoop. 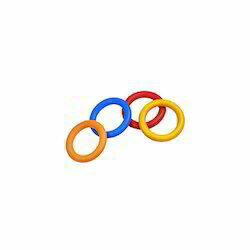 The offered range of single joint hula hoop is made utilizing high grade raw material and latest technology in adherence with the industry laid norms and standards. Along with this, the offered range of single joint hula hoop is suitably inspected on different characteristics to maintain its authenticity throughout the designing process. 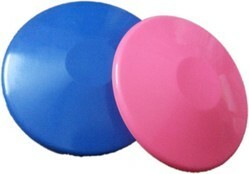 Encourages challenging flings and catches without the fear of injuries caused by hard plastic discs. Softy Ball is the best Indoor/Outdoor sport. 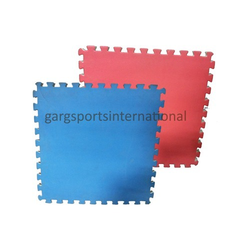 Garg sports international is one of the leading manufacturer and exporter of Tambola Game Set. Owing to our vast experience, we have been successful in catering to the requirements of our esteemed clients by offering high quality Team Bands. We manufacture our offered product-line keeping in mind the diverse requirements of customers. Before final dispatch, our quality controllers inspect these products on certain parameters of quality in order to rule out every possibility of defect. Moreover, we customize these as per the specifications detailed by clients. 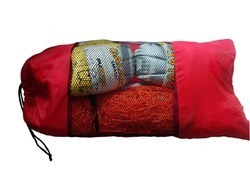 Perfect pack of volleyball ball and net for promoting Volleyball. Comprehensive pack ensure it has everything which is important for the Volleyball Game.